Found one file extension association related to GRASS and 1 file format developed specifically for use with GRASS. Geographic Resources Analysis Support System, commonly referred to as GRASS GIS, is a Geographic Information System (GIS) used for data management, image processing, graphics production, spatial modelling, and visualization of many types of data. It is Free (Libre) Software/Open Source released under GNU General Public License (GPL). GRASS is official project of the Open Source Geospatial Foundation. Originally developed by the U.S. Army Construction Engineering Research Laboratories (USA-CERL, 1982-1995), a branch of the US Army Corp of Engineers, as a tool for land management and environmental planning by the military, GRASS has evolved into a powerful utility with a wide range of applications in many different areas of scientific research. GRASS is currently used in academic and commercial settings around the world, as well as many governmental agencies including NASA, NOAA, USDA, DLR, CSIRO, the National Park Service, the U.S. Census Bureau, USGS, and many environmental consulting companies. The new GRASS 6 release introduces a new topological 2D/3D vector engine and support for vector network analysis. Attributes are now managed in a SQL-based DBMS. A new display manager has been implemented. The NVIZ visualization tool was enhanced to display 3D vector data and voxel volumes. Messages are partially translated (i18N) with support for FreeType fonts, including multibyte Asian characters. New LOCATIONs can be auto-generated by EPSG code number. 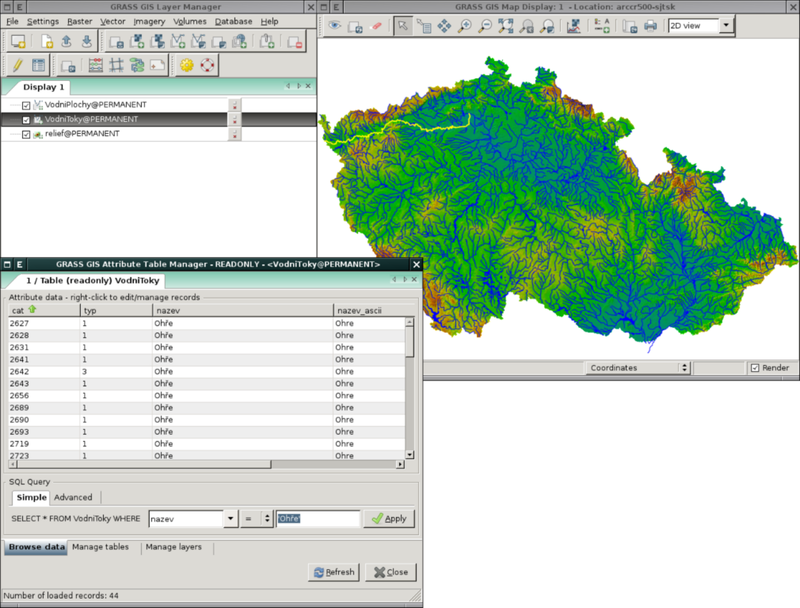 GRASS is integrated with GDAL/OGR libraries to support an extensive range of raster and vector formats, including OGC-conformal Simple Features. If you need more information please contact the developers of GRASS (GRASS Development Team), or check out their product website.